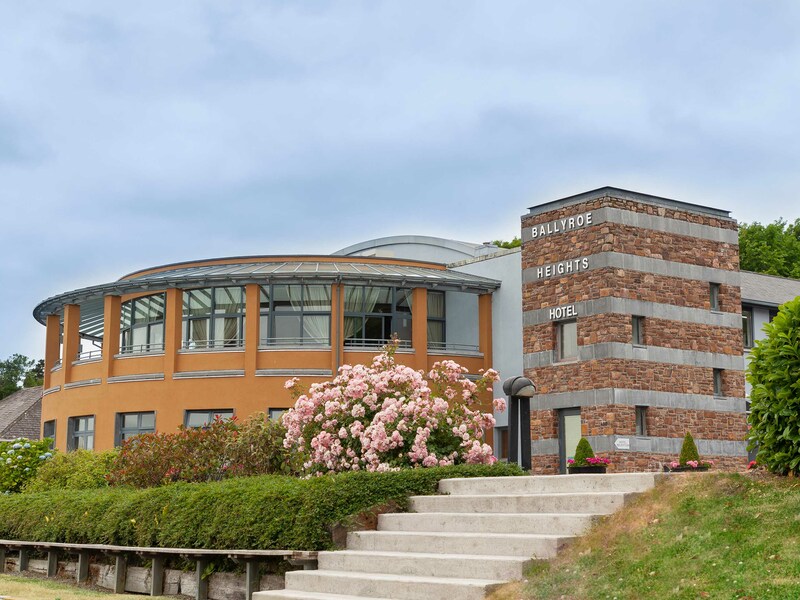 Ballyroe Heights Hotel is a modern, luxurious Kerry Hotel set in six and a half acres of sloping gardens with awe inspiring views of the Sliabh Mish Mountains and Tralee Bay. 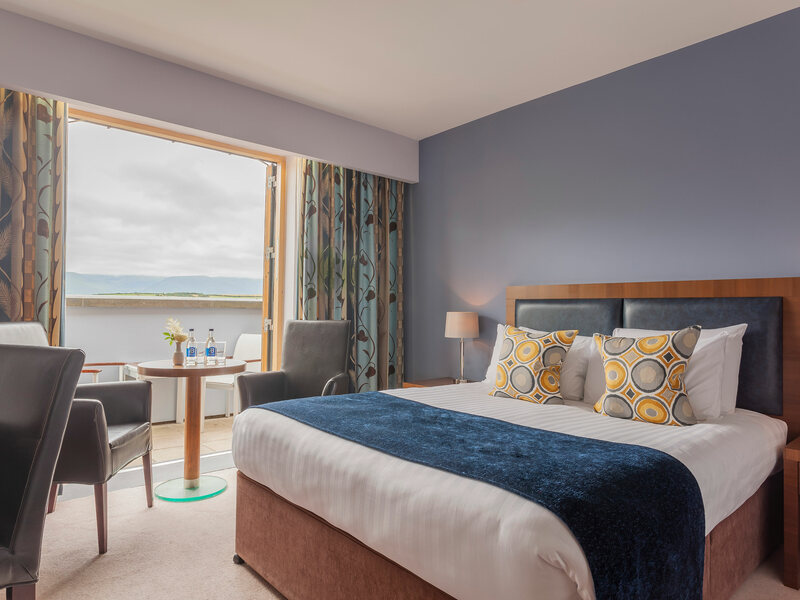 The hotel is located a mere four kilometers from the town centre on the coastal route of The Wild Atlantic Way and only a twenty minute drive from Kerry Airport with free on-site car and coach parking. An excellent choice if you are looking for a hotel in Kerry. beautiful location, friendly and helpful staff. Having stayed two ( 13&14 Oct ) nights in this lovely hotel was amazing. Admittedly it was late in the year but County Kerry is beautiful anytime of year. Our bedroom was also amazing, first class comfort. Yes we give this Hotel and all its staff full marks Ann & Michael O'Leary. Stayed here for one night. The hotel is in a lovely location with great views and not too far from town centre. The rooms were very spacious and clean. The breakfast was lovely with a good choice to choose from. Ate in the bar and the food was lovely and very reasonably priced. The staff were very welcoming and overall we had a great stay. Stayed at The Ballyroe Heights Hotel for one night and it was excellent, starting with a warm welcome from Caitriona at reception, lovely rooms and a great evening meal and breakfast. We look forward to our next stay at this amazing Hotel, thank-you! Lovely hotel. Great breakfast. Good value, would go back. We had a lovely time at Ballyroe Heights hotel..loved the bar/ restaurant..love,love,loved the breakfast room. The views from there were fabulous. From check in to check out everything was perfect, the room,the breakfast each morning and dinner on our second night..perfect. I would however like to make one slight criticism ..we stayed in room 39.. When I opened the window,I was able to open it fully..there was no safety lock to stop anybody falling out..I never stayed in a hotel before where there was no lock on an upper floor window. I only mention this because although we didn't have any children with us on this trip,we have often brought grandchildren away with us..it's one of the first things I check when entering a hotel room. All in all a lovely stay. We stayed for 3 nights. While the staff were very friendly and the food was very good, we were disappointed with our room,located on a landing with too much passing traffic(guests). The large timber frame window at night did little to dampen the noise coming from the function room which went on til 2am on two nights,one a wedding and the other a grads. We had a wonderful overnight stay in Ballyroe Heights Hotel.We were very happy with the location as we needed a good night's sleep.The guest room and bathroom were spotless.We enjoyed a hearty full Irish breakfast.From the dining room we had magnificent panaromic views over the lush countryside. Staff were very welcoming efficient and professional I look forward to my next stay at The Ballyroe Hotel.Thank you very much. Stayed here for 1 night in November and it is a lovely place. The breakfast was delicious - served on a piping hot plate. WONDERFUL - will book here again. Great Experience, my kids loved the stay. Very friendly staffs and beautiful view . Great to be away from the town noise and traffic! Scenic, quiet, beautiful. Food was great, we were looked after well. Room was what we required. Everyone was friendly and helpful. Ample parking. Just missing a pool for our smallies! great hotel.... nice rooms, reasonably priced, good food, lovely staff recommended. Catherine Cork 20th July A beautiful hotel with fab scenery.staff lovely and friendly.Bar food was lovely.will go back again. excellent hotel service , location, accomodation,venue, food and hospitality all top class ! Excellent hotel staff very friendly and accommodating . Food and service excellent. 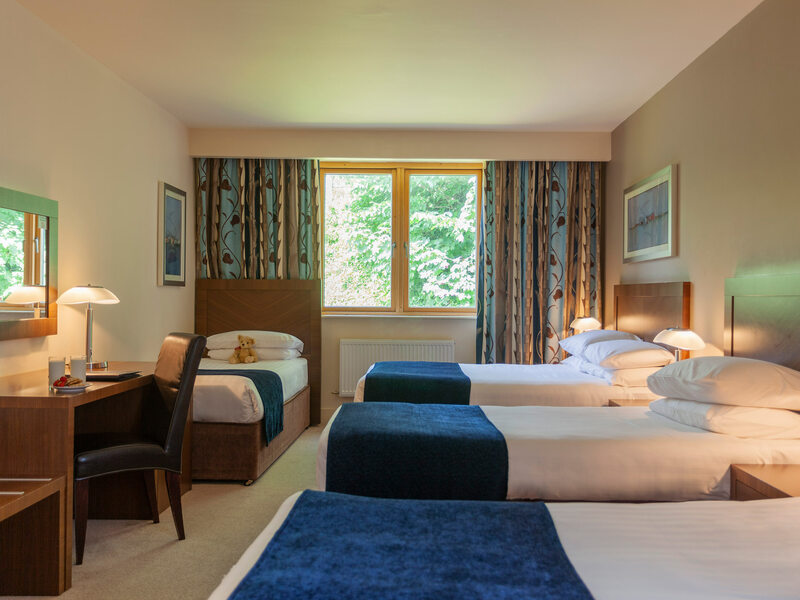 Ballyroe Heights Hotel had been highly recommended to us by my sister, husband & 2 kids, who stayed there earlier this year & were very impressed with everything about the hotel. I can confirm their recommendation...we found the hotel to be 100% in all areas and would definitely stay there again. The rooms were clean and comfortable, staff ever so pleasant and helpful, breakfast was very tasty and fresh and the overall setting of the hotel was stunning. Unfortunately our stay was very brief and we did not get to enjoy the hotel for very long, but hope to next time we're down that direction. The staff are very helpful and friendly. The rooms were very comfortable and the food in the restaurant and breakfast was lovely. The location is a little outside Tralee but this is not a problem when driving. All in all a great stay. Clean, Spacious Rooms. Lovely views. Good Food with lively atmosphere. Lovely Staff. Full Irish Breakfast really lovely with the added bonus of being served to the table. Will Stay again. beautiful views, spacious family room, good food, comfortable and bright surroundings and close to lots of tourist attractions. would definately recommend to families, couples and all travellers. Excellent experince for Easter weekend. Fanatstic standard for a 3-star hotel, easily up to 4-star standards. friendliest staff i have ever met in any hotel. Excellent food in Palace Bar. Stayed here for the one night as a family of 2 adults and 2 kids , we were staying in a family room on the newer part of the hotel which was really nice .Staff were extremely helpfull and dinner and breakfast were very nice .There was a wedding going on the night of our stay and didn't affect us in any way and no noise heard from funtion in our room.I will def stay in this hotel again and especially for the excellent price we got our stay for including our meals . Excellent hotel with brilliant staff, couldn't do enough for us, Really enjoyed our stay. Michelle D.
We really enjoyed our stay here. Rooms and staff excellent. Food really nice and good portions. The only problem we had was extreme noise , shouting, singing and banging doors from room next to ours. Not ideal when you are trying to get two small kids to sleep. When we mentioned this to man at reception next morning his response was that they were at the wedding at hotel and were up 'talking until 6am. We would have been happy with a simple apology! Anyway would still recommend if you don't mind late night wedding crowd antics. Our stay was very enjoyable. Very nice hotel. I found the staff to be very pleasant, helpful and cheerful. The food was absolutely beautiful and especially the breakfast - it was always freshly cooked. I particularly loved their brown bread. The hotel itself was spotless. I would have no hesitation in recommending this hotel to anyone. Hotel was clean amd had wonderful view. Breakfast could be better. Never enough croissants and menu had little variety. Strawberry yoghurt was delicious. Midweek Bargain break deal was good value. Lovely setting, delightful staff, dismal rooms!!!! Very nice,clean and modern hotel. Lovely breakfast. Highly recommended. Had a great time. Staff very friendly and polite.